$500 Holds Your Spot. 12 Spots Available. Reserve your spot today! If these rooms were any closer to the water, they’d be in it. Located directly on the beach, you’ll enjoy beautiful views of the Caribbean Sea and the Belize Barrier Reef. 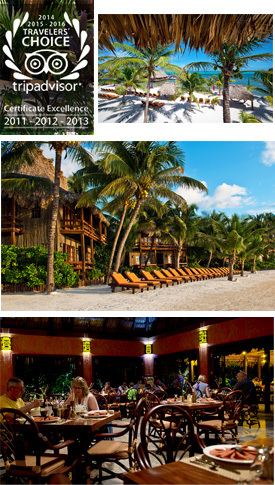 Individual and two story palm thatched cabanas provide an assortment of rooms and suites. Ramon’s Village Resort is conveniently located within walking distance down the beach of San Pedro Town on Ambergris Caye. Though we have everything you need to enjoy a nice vacation, authentic palm thatch cabanas, fantastic beach, gift shop, dive shop, beach spa, lagoon style pool-it’s comforting to know that when you stay with us you are also conveniently located to such things as a doctor, clinic, pharmacy, grocery store, ice cream shop, etc. Unlike many Caribbean destinations, downtown San Pedro is not a collection of “brass and glass” towers; instead, it’s a charming main street setting with brightly colored two and three story buildings and single lane, one way streets – there are just three main, single lane streets running north and south so it really is a quaint downtown! 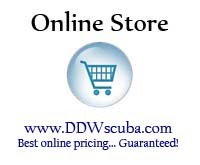 Travel Insurance is available online through our travel agency partner, Fly & Sea Dive Adventures. Not certified? Take our academic course online at PADI.com and get certified for life!